1. You slide down dry and wet rocks. 2. You crawl through small holes to get to the other side. 3. You scale walls to get to the other side. 1. Clothes that protect your body, especially your arms and legs from scratches when you bump or slide against the rocks. 2. Clothes that dry easily when you get wet. 3. Lightweight outdoor shoes that has a strong grip and dries easily. For the price of around 1250 pesos, you have the most appropriate clothes for spelunking. At the same time, these clothes can also be used for swimming in the beach. So it's not waste of money to buy them even if you intend to go spelunking only once. If the gas lamps brought by the guides accidentally turn off, your group won't be left in pitch-black darkness. It's very dangerous to be in pitch-black darkness in this cave. 2. 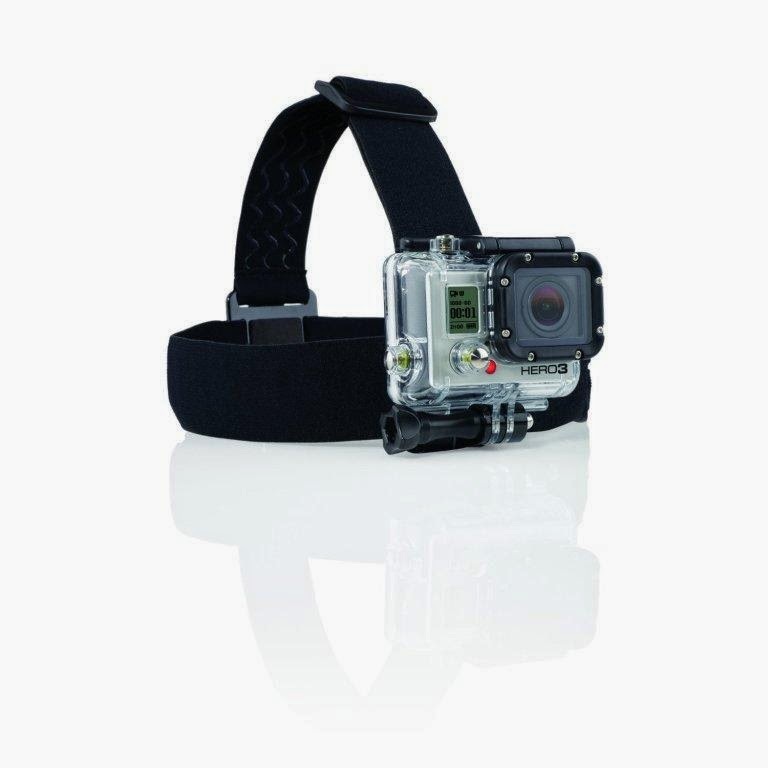 Go Pro camera with headstrap. This is the best video camera that you can bring because you can cover this activity hands-free. You need both hands to survive this cave. With the fish eye lens of the Go Pro camera, it will be able to record everything you see in the cave. We brought our regular digital camera but we didn't hold it. Gareth, our guide, took all the pictures for us. Of course, if you're alone, it's best to have a headlamp rather than a Go Pro camera strapped to your head. This is my suggestion if at least one in your group already has a head lamp strapped to his head. Unfortunately, we forgot to bring our Go Pro Camera so I cannot share the video with you. 1. If you wear a regular t-shirt , it won't dry immediately after it gets wet, unless it's a dri-fit shirt. With mostly cold weather in Sagada, you may not be able to walk back to your inn after the spelunking because of your wet clothes. 2. If you wear shorts, it will not protect your legs from scratches, when you climb on rocks. 3. If you wear slippers, the guide will ask you to go barefoot in some parts of the cave when you need a more precise grip from your bare foot. If you wear rubber shoes, the guide will also ask you to remove it and go barefoot. The guides, however, allow aqua shoes during spelunking, because it's lightweight, has the grip and won't absorb a lot of water in the parts of the cave that are submerged in waist-deep water.